Moves tank to bottom of handle. Can be mounted either left or right handed. 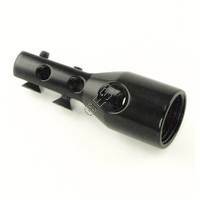 Manufactured from 6061 aircraft aluminum, anodized black. Comes with 2 mounting screws. 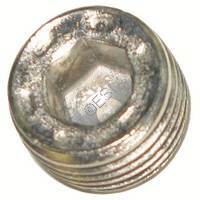 Has 1/8 npt hole for mounting guage on one side and hose on the other. .